The Lighter Side of Learning to Play the Fiddle #5 …or… How long is this going to take anyway? As I mentioned in an earlier post on this topic, I’ve been a bit discouraged lately about my apparent lack of progress at learning the fiddle. I’ve been at it for 12 months now and I still can’t play Orange Blossom Special or Turkey in the Straw. So I decided I would do a bit of research to find out if it is just me, or whether this is typical. What I found is that a lot of people do this sort of research before they decide to take up the fiddle. Given what I found – I’m actually glad I didn’t think to do that. For example, I did a search on the questions: How long does it take to learn to play the fiddle? and Am I too old to start? I found the best answers at this link – here’s a smattering of the responses. That was all a bit too discouraging so I tried this question. Are their stages in learning to play the fiddle? I got some good answers at this link. Personally, I like the last one – I agree that geological time scales are the most relevant. Unfortunately, I am still in the Precambrian stage myself. Although entertaining, none of this helped me to determine whether I was ‘fiddle challenged’ or on par with my peers in terms of progress to date. Then, finally, I came across a site that put things in very practical terms. Apparently it depends on how many hours of practice you put in – who would have thought? After investigating many students, researchers have made two important observations – first it takes about 10,000 hours of practice to become an elite virtuoso and second, they found no evidence of anyone becoming such an elite expert with less than 10,000 hours of practice. In other words, stars are made, not born, and there are no shortcuts. Of course I’m not trying to get to Carnegie Hall – but the premise is valid – practice, practice, practice. This same site mentioned that those who had practiced 4000 hours were sufficiently good to teach beginners and those with 8000 hours on the practice odometer were good enough to entertain professionally. Armed with this info, I did what any engineer would do – I put together a little spreadsheet (including a graph of course!) to see where I’m at now and how long it would take me to reach these lofty heights under various scenarios. The results were pretty shocking. For starters, I’ve been averaging about 3 hours of practice per week over the past year, which adds up to a whopping 156 hours since I started. I didn’t find any particular threshold of achievement associated with that number – but I can tell you that it pretty much takes you to the point of being (relatively) comfortable holding the fiddle and bow (which is a big deal – believe me! ), being able to play a few novice tunes Like Oh Susanna, Short Bow Jig (very slowly) and Faded Love, and you can find the right notes as long as you have someone else to play along with, but only if they play sloooowwwly. No wonder I haven’t gotten far yet – I’m barely registering on the experience scale! No point showing you my graph – 156 hours doesn’t even show up. Suffice to say that, at my current rate of practice, I will not be teaching beginners until I’m 80 and I’ll need a miracle of modern medicine to get to the virtuoso stage, because I’ll be 118 years old when I’ve racked up my 10,000 hours. Armed with this information, I did some hypothetical calculations and came up with the graph below – which helped me to determine two important things. First, it is realistic to attempt to get to 4000 hours – not that I’ll ever want to teach the fiddle – but I figure I should be having a lot of fun with it by then. And second, it’s going to take me about 8 years to get there if I can step up my practice intensity to about 10 hours per week. So, I’m no longer discouraged about my lack of progress – it makes sense, given the actual hours I’ve put in so far. And I’m actually excited to have a plan. One last piece of wisdom I found – apparently, people who practice every day – even if only for 30 minutes – progress faster than those who do a couple of longer sessions per week totalling the same amount of time (which has been my general approach to date). So, I’d best get at it – I’ve only got 7.5 h logged since Sunday! This entry was posted in Fiddlin' Around and tagged Fiddle, fiddle beginner, how long to learn the fiddle, learning the fiddle, Music, Ramblings, violin. Bookmark the permalink. 46 Responses to The Lighter Side of Learning to Play the Fiddle #5 …or… How long is this going to take anyway? Leave it to you to figure all this out using math and graphs! LOL If only we could use that method to determine when we’ll be successful writers! Thanks for reading – and for commenting! Bill Eddins of the ESO said today on The Sunday Edition that he once met the great concert pianist Rudolph Serkin and he said “I’m still learning” – the man had been a prodigy for like 70 years!!! Ha ha – that’s bad news for me then! Thanks SO MUCH for this post! As a fiddle student of almost a year, I thought it was just me! Thank you for your blog. I have just started leaning the fiddle 6 weeks ago at age 56 and I can relate! My greyhound runs out of the room most days as soon as I pick it up, when I’m having a “good day” she will come back. My JRT is mostly deaf so I sound good to him. I also can relate to that I can play what sounds like music at home and then I get to the lesson…but what fun this is to learn! Thanks Jean – it’s so great to hear about someone else going through the same thing! 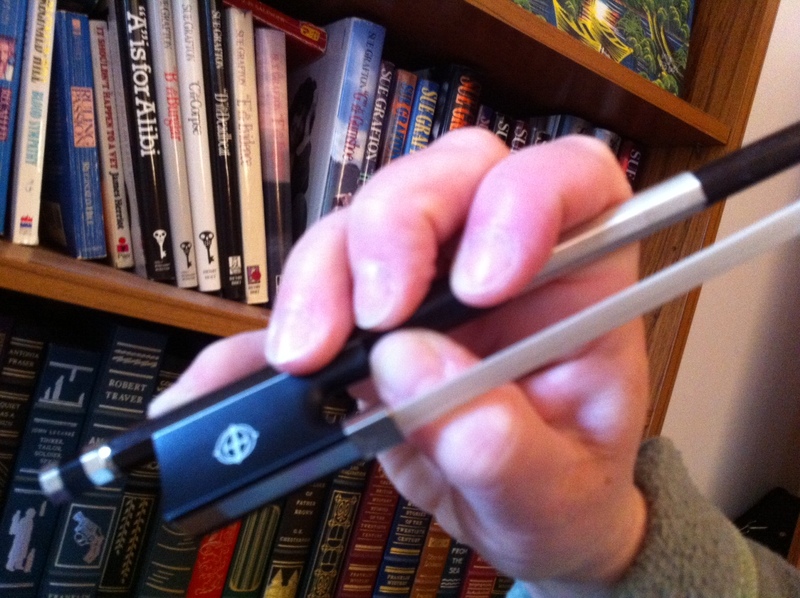 It is a wonderful instrument – yet at the same time enormously frustrating. A real challenge, but worth it! Thanks Mark – I totally agree – after two and a half years, I am feel I am finally a full fledged beginner! The bowing is definitely one of the hardest parts. Have you seen this video? Great post! Thank you! I have played guitar for 17 years and just picked up the fiddle and had my first lesson yesterday. I feel like a baby deer on ice! This will help me tough it through the dying cat stage. Good luck and have fun!! So sorry for the delay responding – I’m so glad to hear you liked the post. Hope you are enjoying your lessons – it’s such a fun (and frustrating) instrument! I started playing at 56 after I retired so I could teach kids . After several years of lessons I started giving lessons at the Jr High school as a volunteer. I am only an average player and have yet to make vibrato sound like something other than a sick calf but still my students love challenging themselves and I am having so much fun teaching them. Wow that is awesome! Such a great idea to volunteer at the school. I too am struggling with the vibrato – but I still find it lots of fun to try! Good luck with it! I also am a beginner after about 13 years. The aged violinest said,”I did”. Hahaha – I can totally relate to that. And I feel better hearing that you too still feel like a beginner after 13 years – I sometimes feel that I’ll always be a beginner! my daughter gave me a cheap fiddle for my Christmas. what else can you get me now that i am in the mid 70,s. i definitely sound like cats or even worse. however i practice every morning before the wife gets up and can see a small but significant improvement after 3 months. some days not bad , some days real rough. i enjoy the challenge and will persevere till next Christmas and see what that brings. could be worse , could be Bagpipes !! 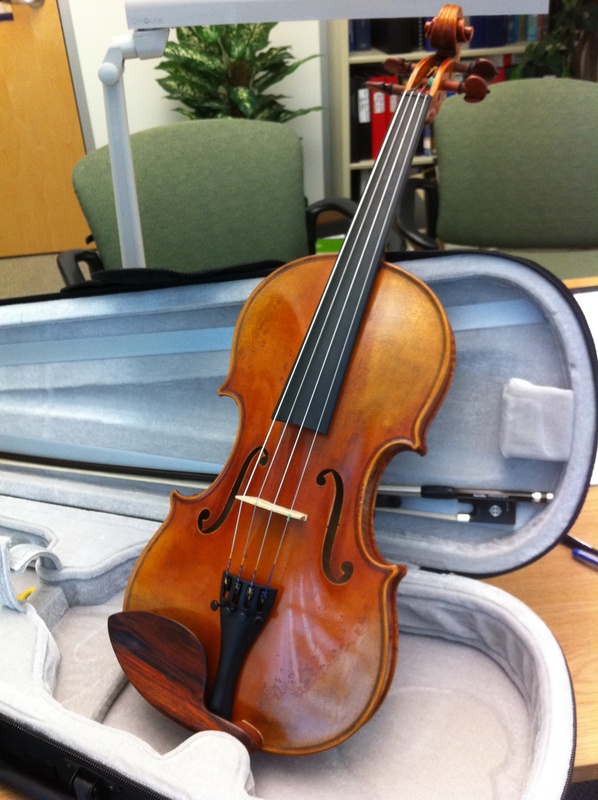 It’s so nice to hear about someone else learning the fiddle as an adult – sounds like you are progressing really well! Thanks for sharing your experiences with it and good luck! Please don’t be discouraged by the calculations above! * There is a small, inexpensive rubber mute that fits over the bridge that will spare your loved ones from the full effects of your initial efforts. Good advice ! Thanks for visiting my blog! Being 60 with about a year-and-a-half of fiddle experience, and very limited music background far in my past, my story is similar to yours. What has helped my fiddling the most is regularly attending a beginner jam session (we have an outstanding beginner jam here in SW Idaho). I had a few months of fiddle experience and the fiddle books that I use strongly encourage jam sessions. I was very, very, intimidated at my first session and basically sat against the wall holding my fiddle and thinking my situation was hopeless. After the jam, one welcoming player said to me, “Just learn one tune that you can call at the jam.” I went back to the jam the next week, still very anxious, and I have gone nearly every week since for the past year or so (we do take the summers off). The first few weeks at the jam were difficult, but now I can play basic melody breaks as well as back up most of the songs that we play at the jam. The jam sessions have greatly helped me improve my tone and timing and my musical understanding. Most of all, I contribute to the jam. Some moments have been truly magical. If anyone had told me in the fall of 2013 when I took the fiddle out of the closet that, within a year, I would be playing in a jam session and sometimes singing lead, I would have been incredulous. So, my recommendation to all fiddlers — young and old, beginner to accomplished — find an appropriate jam session and join with others — experience the magic. Hi Faye! I loved this. I started fiddle a year ago at age 43. I was also feeling a little discouraged at my progress. It’s interesting how learning a new skill as an adult is so different than how we learned things as children. How is it going? I am lucky to live in the Maritime province of Prince Edward Island Canada where there is a huge culture of fiddle music. I am able to get out once a week and play with other musicians. I only hit every 2nd or third note, but I’m slowly getting better. I’m just starting to fiddle around — at 51. Like seriously, picked up a used instrument today. Wish me luck! I started playing the fiddle two years ago at age 52. We have a weekly session going where musicians with all instruments meet to learn a tune. We learn and play for over two hours. I can play a few reels, polkas, waltzes and marches. It is truly magical at the moment. Learning first was very difficult, getting the co-ordination correct and tapping the foot! I still have a long way to go, but at this stage, I love the fiddle with every bone in my body. I always completed a night course in wintertime, flower arranging, knitting, crochet, etc. Nothing comes even close to learning the fiddle. I am now at the stage where I pick up tunes faster, and learning is so very enjoyable. When I get to play the full tune at the weekly session with the others, it is like reaching the pot of gold at the end of the rainbow. If you want to play the fiddle, go for it. The amount of pleasure it will bring is enormous. Wow Kathleen – that is impressive! I sure wish I learned this as quickly as you have. How lucky you are to have people to play with! Hahahah, I’m 68 and will be starting fiddle next month! My husband bought me a fiddle for Christmas this last year. Wow I want this more than anything. The practices seem to go ok at home then I get to the lesson and just bomb them! It’s crazy!! I am 61 and thought I was too old to start – this blog has been very encouraging! First of all, I love this blog topic… especially the graph and the quotes! 🙂 I picked up the fiddle a few months ago after a long hiatus (and I was never very good to begin with), and I totally agree that playing along with recordings is INCREDIBLE for learning proper finger placement. I also highly recommend it for learning to play in “less traditional” fiddle keys… I was playing along with an album yesterday and suddenly realized I was playing a tune in B flat! Hi Faye. I appreciate your graph – it put things in perspective for me as I only took up fiddle 14 months ago at age 53 and am way too hard on myself! I have only been at it for 100 hours or so! My major problem is nervousness at my lesson – I can make okay progress at home but then become a bumbling mess with my teacher. Any tips? Hey Katherine – I started with a new teacher a few years back and have had the same problem! I keep telling her that I am going to record my practice so that she can hear how I sound when things go well. 😀I’m not sure what the cure is but it has become much easier with time. Hopefully it will get easier for you, too. Did you learn OBS yet? that’s one of my goals too!! Faye, I’m glad to see that you are still keeping this thread active. I’m coming up on the end of my first year of weekly lessons with a very good teacher. I appreciate your research on the violin learning curve, which is inversely exponential. BTW, I’m an electrical engineer and have about 9 more years until I can retire. I’m 57 and struggle with the range of motion needed in the forearm (supinating the wrist) and the shoulder rotator, particularly for 4th finger reaches on the G string. I’m trying all kinds of stretches, but I can only play for few minutes before my arms get too sore. 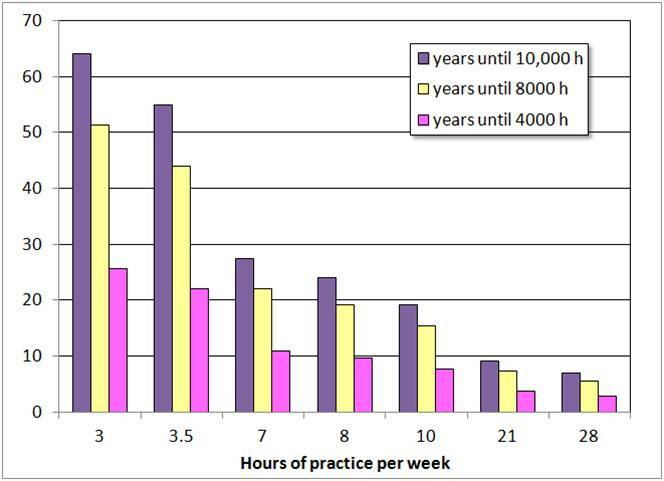 Based on your research, I’ll try to do what I can to extend my practice time and work towards more hours of practice per week. Thanks again for sharing your research and keeping the topic current. Thanks Tom – sounds like you are progressing very fast – I’ve still not had much experience with 4th finger on the G string. I am finally progressing though and can certainly sympathize with the pain issue – it’s one I’ve been struggling with as well. I sure wish I had started this about 40 years earlier! I’ve had some luck with light weight training – if I don’t overdo it, then just some lifting with small dumbbells does seem to help build my arm strength. Are you in PEI Tom? I’ve been playing for 3 years now and have connected with and have had the opportunity to play with some amazing players. Of course I can’t always keep up, but I find the community so supportive, encouraging, and non-judgemental. Ok… I just realized the PE stands for Professional Engineer! Not Prince Edward Island!